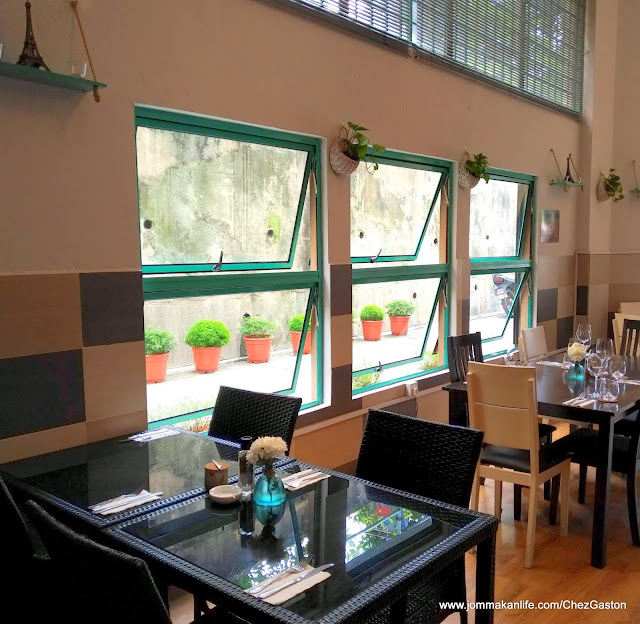 Rabbit pâté, pork rillettes and pork blood sausage are some of the gems we discovered at Chez Gaston, a newly opened French bistro tucked away in a corner of Bangsar. 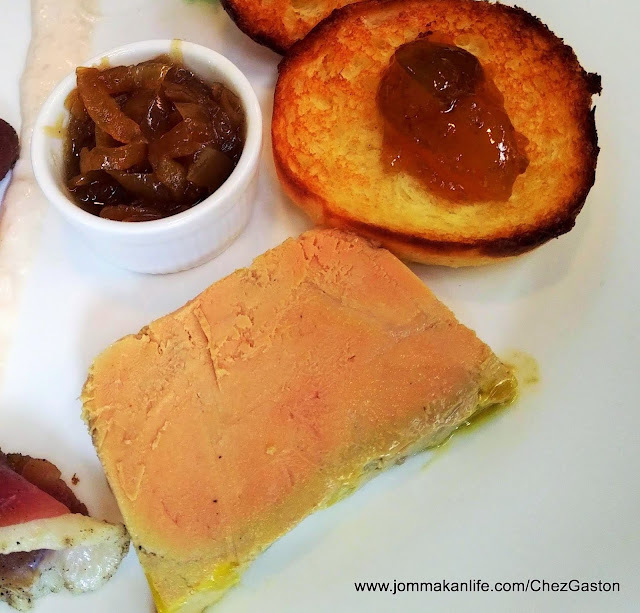 House-made by chef/owner Florian Nigen (formerly of Rendez-vous), those aforementioned rustic, homey specialities form the basis of his bistro-style menu at Chez Gaston. Chef Flo, whose father runs his own restaurant along the coastal road in Brittany, was inspired to name his latest outpost in honour of his grandfather. Simplistic in its overall ambience, the corner restaurant sets a no-frills stage for the chef's rustic, homespun dishes to shine. Our bistronomy journey began with the Big Mix Platter (RM99+). Ideal for 2-3 people to share, we made a real feast out of it. Sliced toasty bread is a must, to pile on the country-style rabbit pâté, deer and pork rillettes (similar to pâté but the meat is shredded or chopped), cured Parma ham and Iberico ham slices, saucisson (cured sausage) and smoked duck breast. It was fun to complement the various starters with olives, caramlised onion, salad, gherkins and the chef’s selection of 2 cheeses. Do take note some of the items serve may vary from time to time as their availability depends on supply. 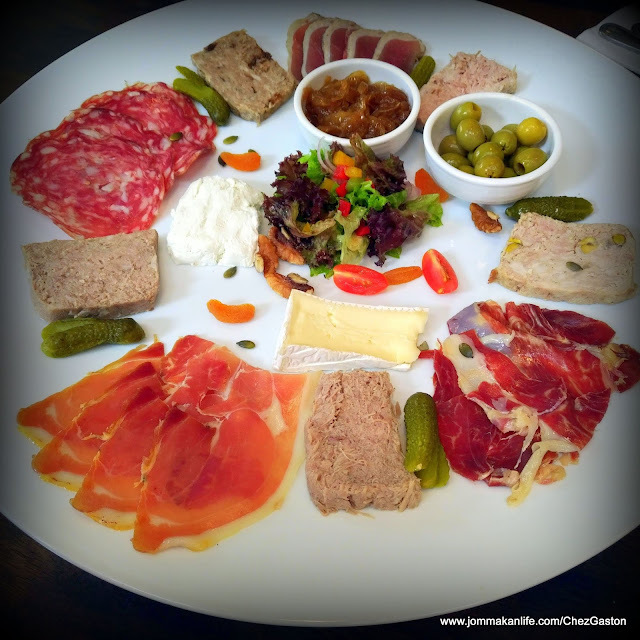 Rest assured, the substantial selection will definitely whet your appetite for more. 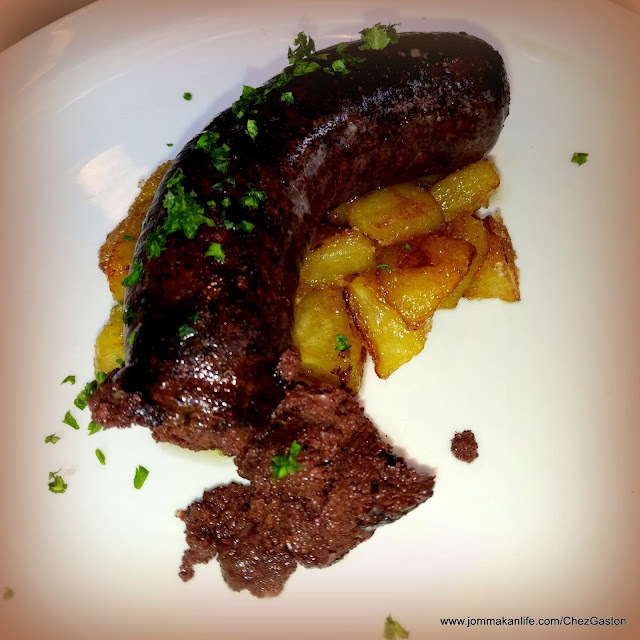 Since he came to Malaysia, Chef Flo reveals he missed Boudin Noir (RM35+), pork blood sausage so much that he was driven to make the delicacy in-house. Pork blood, onion, pork fat, salt and pepper resulted in the plump and dark sausage we ate. It was surprisingly agreeable; the sausage's faint metallic nuance and full-bodied richness balanced by some caramelised apple dices. 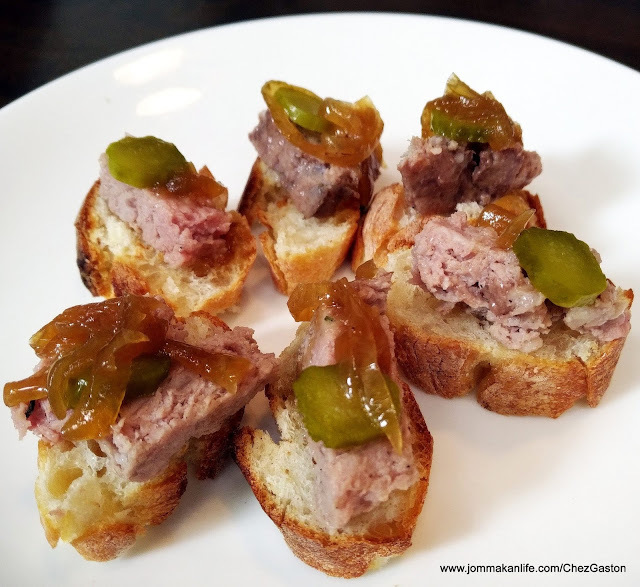 If that doesn't strike your fancy, perhaps the Foie Gras Terrine (RM42+) will do the trick. Dense and unctuously smooth, the French duck liver pâté is divine when paired with house-toasted garlic and thyme bread alongside sweetish caramelised onion and fig jam. A good tummy warmer is Mediterranean Fish Soup (RM17+). Similar to bouillabaisse, this splendid tomato and herb broth floated our boat with its mélange of fresh fish, rouille (thick, garlicky mayo-like sauce), croutons, and grated emmental cheese. In France, rabbits are a popular protein source. 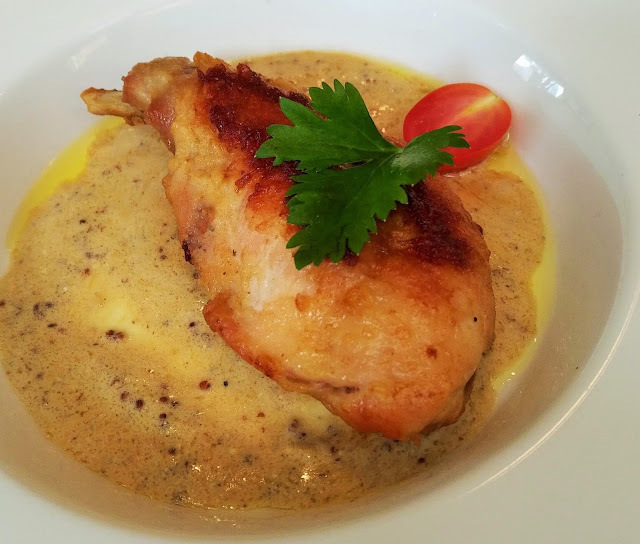 The lean meat is akin to chicken and I highly recommend the sublime Lapin A La Moutarde (RM59+), rabbit in creamy wholegrain mustard sauce at Chez Gaston. Braised in red wine for over 8 hours, the Boeuf Bourguignon (RM48+) came up trumps as well. A staple comfort food in most French households, the melt-in-the-mouth tender beef cheeks were scrumptious. Pescatarians need not fret as some fish and seafood options are available. Notable choices include Seabass Au Safran (RM39+), fillet of seabass on creamy saffron sauce and Prawns Moscato (RM48+), pan-fried prawns with Moscato bisque sauce. The most Instaworthy has to be Floating Island (RM11+), a mound of soft meringue on vanilla custard and drizzled with caramel and topping of almond flakes. Mutedly sweet but its cloud-like ephemeral texture was winsome. Yours truly found greater succour from Tarte Aux Pomme (RM12+), the delicious French apple tart generously filled with thinly sliced baked green apples atop a buttery crust. Its appeal was neck-to-neck with the irresistible 62% dark Ghanaian Chocolate Mousse (RM12+). For a failsafe treat, the French Crème Brulee (RM12+) should fit the bill. Prefer to finish with some cheese? 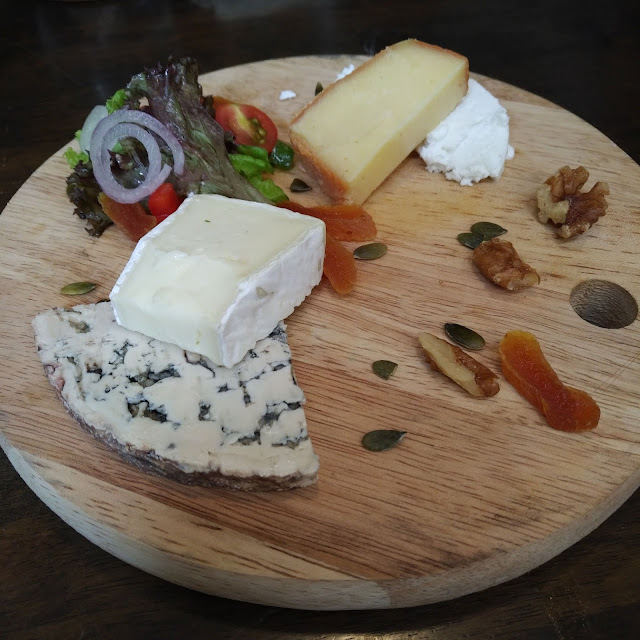 Then indulge in the Cheese Platter (RM38+) featuring a selection of 4 cheeses. Ours comprised brie, raclette, fresh goat’s cheese and blue cheese. A good overview of what to expect can be savoured via the Express Lunch Set (RM19+ for 2 course, RM26+ for 3 course) inclusive of Ice Lemon Tea, Parisiene Coffee or English Breakfast Tea. For reservations, call Chez Gaston KL, tel: 011-3993 0036. 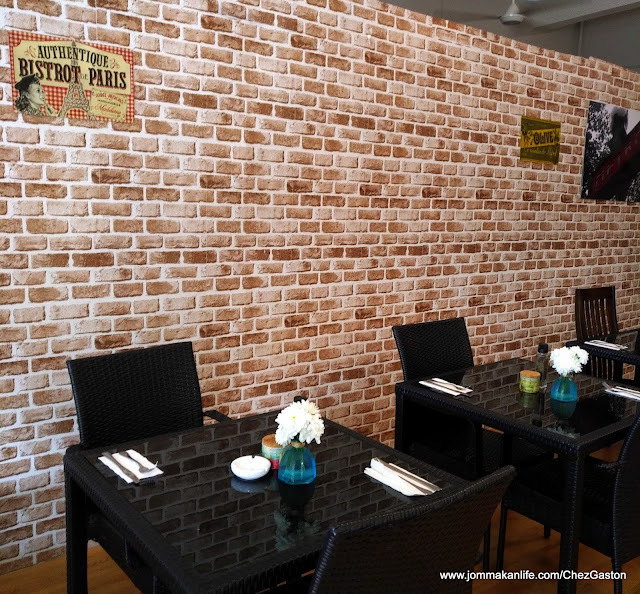 Address: 12, Jalan Bangsar Utama 9, Bangsar, KL.